Union is tucked off the Monon Trail in Carmel, just north of the Palladium. You know you’ve arrived when you hear live music and chatter and see bicycles leaning against the wood picket fence. Belly on up to the bar and read the classic green chalkboard to see what’s on tap and what’s on cask. Union makes their own beer but serves up local favorites, too. While they don’t serve food, you’re welcome to bring your own. Luckily, its right next door to Jamaican Reggae Grill, a local restaurant that serves up some of the best jerk chicken outside of Jamaica. Grab a beer and some rice and beans and enjoy it al fresco on the patio. This place is a popular hangout, so it may be hoppin’ on a Friday or Saturday night. Union is also dog and kid-friendly, so bring the whole family. If you want to keep the night going, there’s plenty of spots open late in Carmel within walking distance of Union Brewing Company. Head north to the new Sun King Spirits, a new rooftop bar serving up alcoholic slushies, craft cocktails and good eats from four different vendors in the food hall. Or check out 3UP Rooftop Bar, coming soon to the southwest corner of Main Street and the Monon Trail above Anthony’s Chophouse. Or if you’re looking to keep it casual, visit Scotty’s Brewhouse, The Pint Room or Muldoon’s, all in the Carmel Arts & Design District. Bike to your brews and download the Zagster app and rent a bicycle from one of the sharing stations around Hamilton County for just $3/hour. 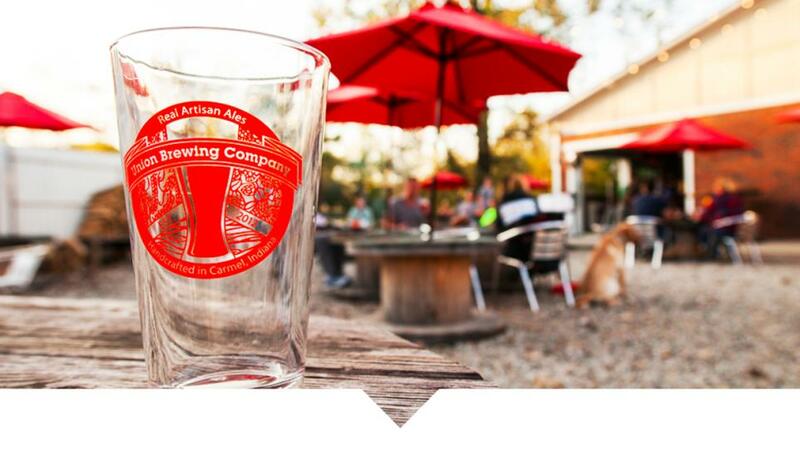 The Monon Trail spans 20+ miles and connects north to Westfield and Sheridan and south to Broad Ripple and Indianapolis, making it the perfect way to spend an afternoon with plenty of pit stops along the way, like Grand Junction Brewing Company. For more things to do in Hamilton County, check out our calendar. Be sure to follow us on Facebook, Twitter and Instagram to see what&apos;s happening in #VisitHC.